CORESTRUCTION; Building Movement - LETS BUILD A BETTER YOU. CORESTRUCTIONTM is building you from the inside- out. Most think of their "core" simply as just abdominals and low back. Actually your core is a complex grouping of 35 different muscle groups connecting into the pelvis from the spine and hip area. Your core is the initiation point of all movment. It is the center of your gravity and stability. The core is an important part of any sport and often, for better or worse, the difference in performance. Good muscle strength within the core is very important to all athletes, fitness enthusiasts and the aging adult. CORESTRUCTIONTM is a small group program aimed specifically at building your core stronger. This limited participation 12-week practice will treat each body as a construction site. Each week we will focus on the body’s stabilization system and build to effectively utilize your strength, power, and muscular endurance potential. You will also be learning how this practice effectively transfers to sport and life. CORESTRUCTIONTM is more than a class, it's an education! 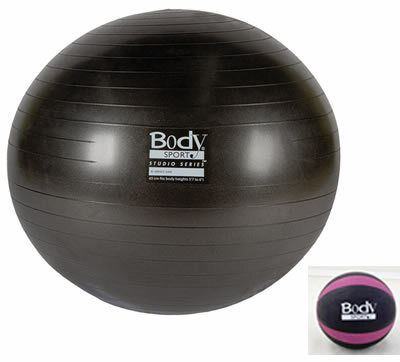 Your registration includes 12-weeks (7AM Tuesdays and Thursdays), a sized-right stability ball and a 4lb rubber medicine ball.